Dealing with a receding hairline is frustrating. The patches of thinning hair become more visible as your hairline moves back. This is where the struggle begins and you start trying every hair product and hair thinning solution out there to keep your hair. And with a myriad of products promising to fight hair loss, it is hard to decide which product to trust and which to toss. While fighting to preserve every single hair, choosing a hairstyle becomes challenging. The haircut or hairstyle you prefer might not look quite as good as they used to. Fortunately, there are certain hairstyles that look cool even if your hair starts to recede and thin. 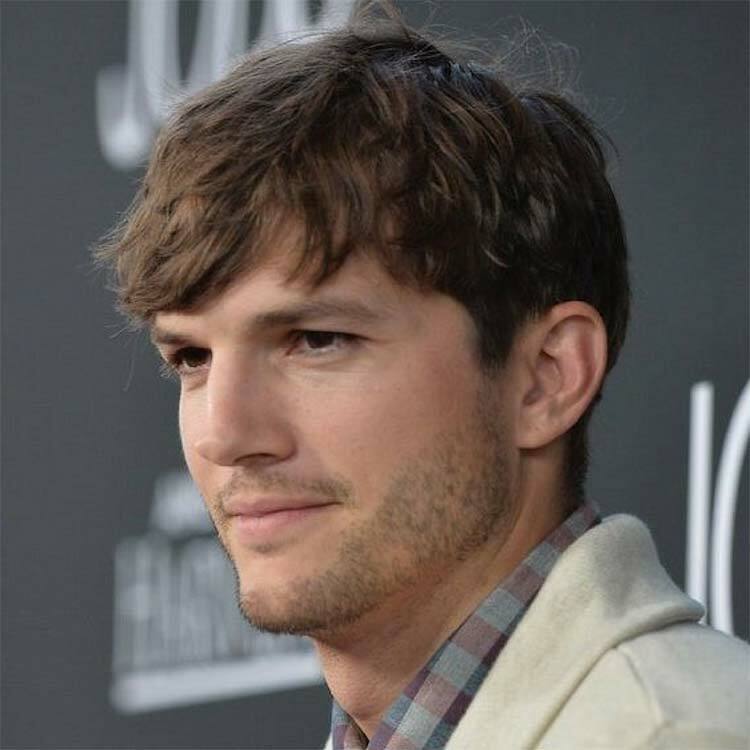 Below, we’ve listed top 10 cool hairstyles for men with thin hair. 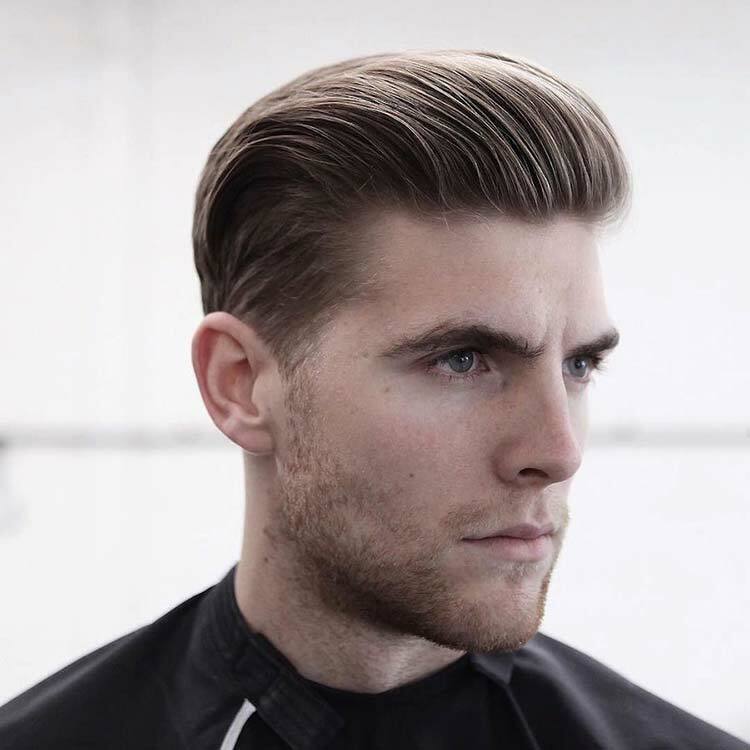 Classic pompadour looks pretty good with thin hair with its light, airy look. 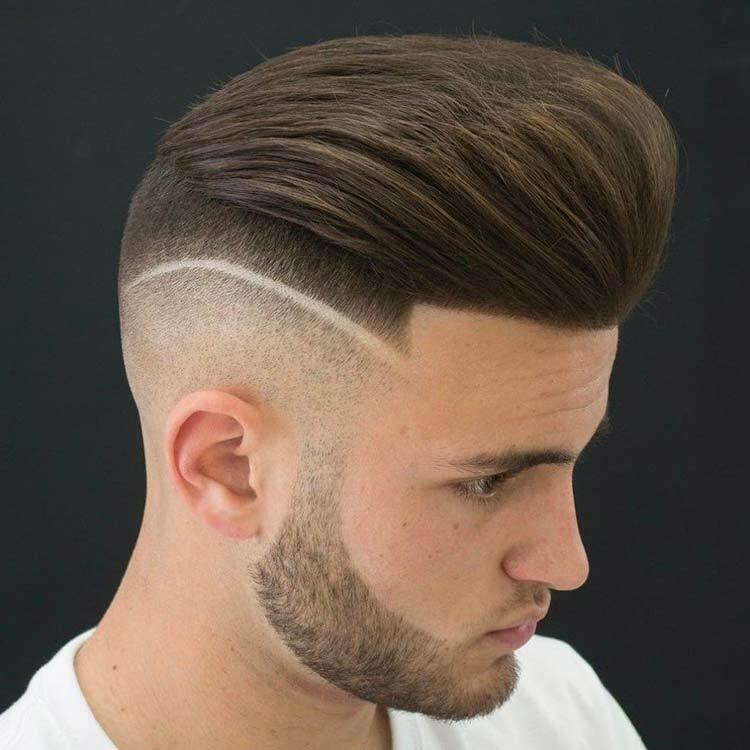 With extreme fade on the sides and back, the hairstyle draws attention to the pomp. The hairstyle makes a simple and sophisticated choice for thinning hair. Bringing the hair up in the center, the hairstyle detracts from the lack of thickness. 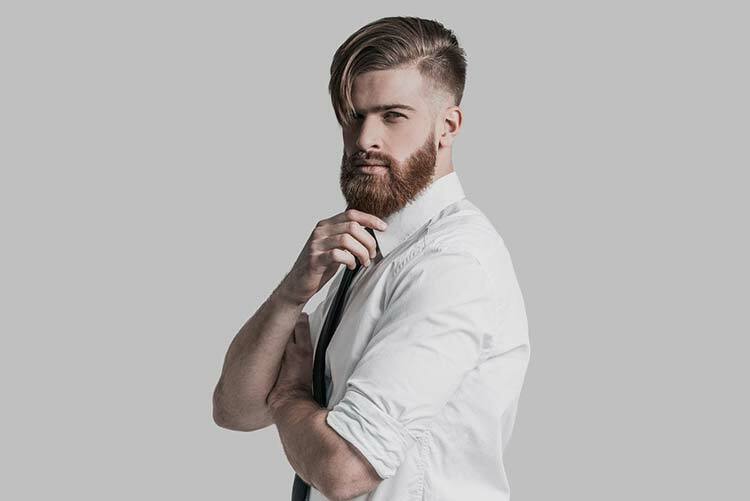 Adding some well landscaped facial hair will further drive attention away from thinning hair. You can add some hair thinning solution like hair fiber to cover up the thinning area. Prefer a fringe? Go for a messy yet stylish look like side swept. This laid-back style can be tamed or loose. It offset the thinness of the hair by creating a fringe that will move with you. The best part about this fringe style is the sense of fullness and the addition of vertical and horizontal depth to the hair. Not into short hair? A classic mop top haircut is something you must consider. It makes thinning hair less obvious. Whether brush it forward or across your forehead, it goes a long way in hiding a receding hairline. This hairstyle also enables you to adjust its length as per your taste. You can either opt for a classic Beatles-style or something messier and simple to manage. To make your hair look naturally thick, you can go for a long, combed back style. 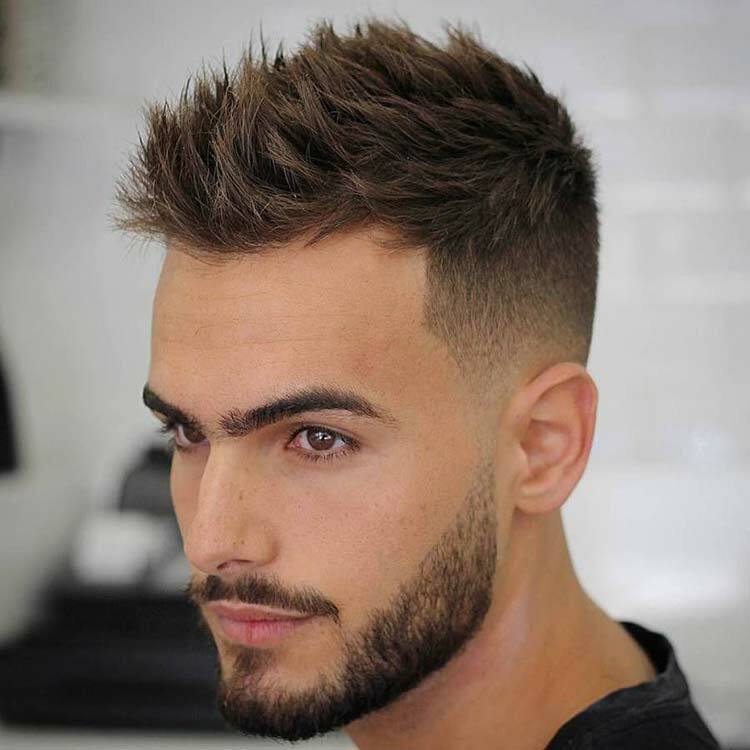 With a square bottom cut down the neck, the flowing hairstyle offers a youthful appearance. For more voluminous look, opt for some hair thinning solution like hair fiber or hair concealer and use volume gaining product like dht blocker shampoo.